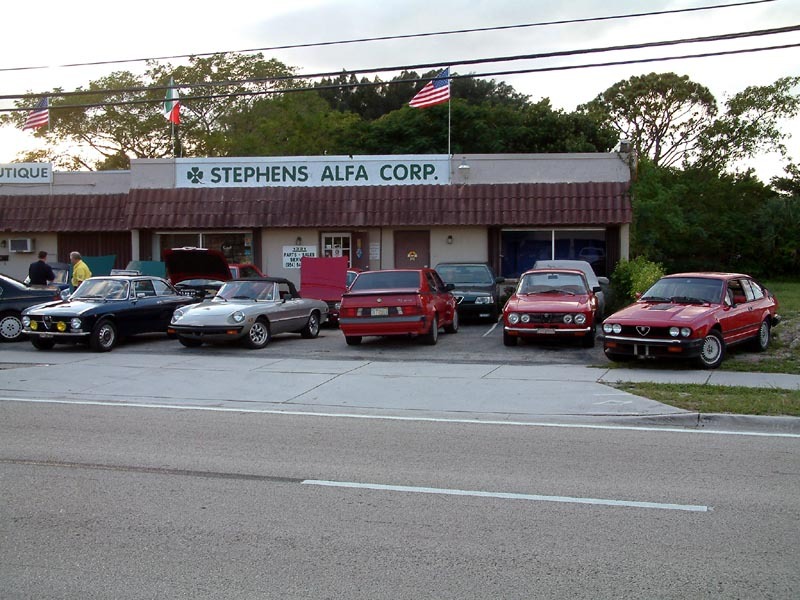 On November 15, 2003, South Florida Alfisti gathered at Richard Stephens' Alfa to celebrate the 72nd birthdaty of Bob Cozza. 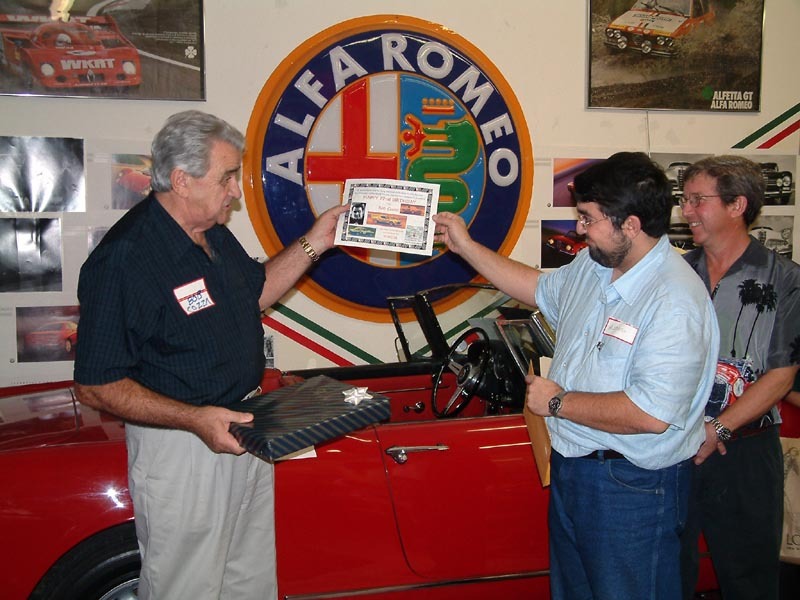 Bob has been an Alfa Dealer, the Autodelta distributor and has raced Alfa Romeo GTAs and the famous BOBCOR Montreal in the TRANSAM series in the early 1970's. Here are some pictures of the party. Happy birthday Bob! 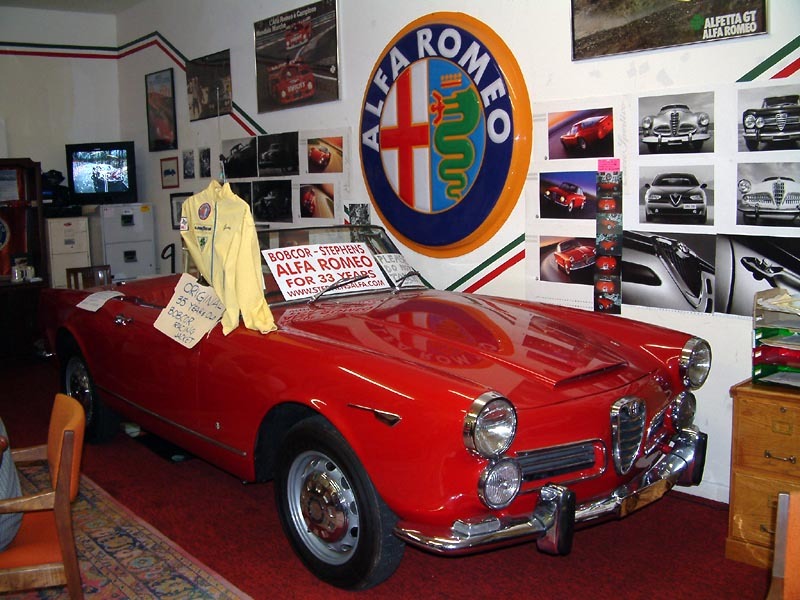 ABOVE: There were actually more Alfisti and Alfas in attendance than fitted in the picture! 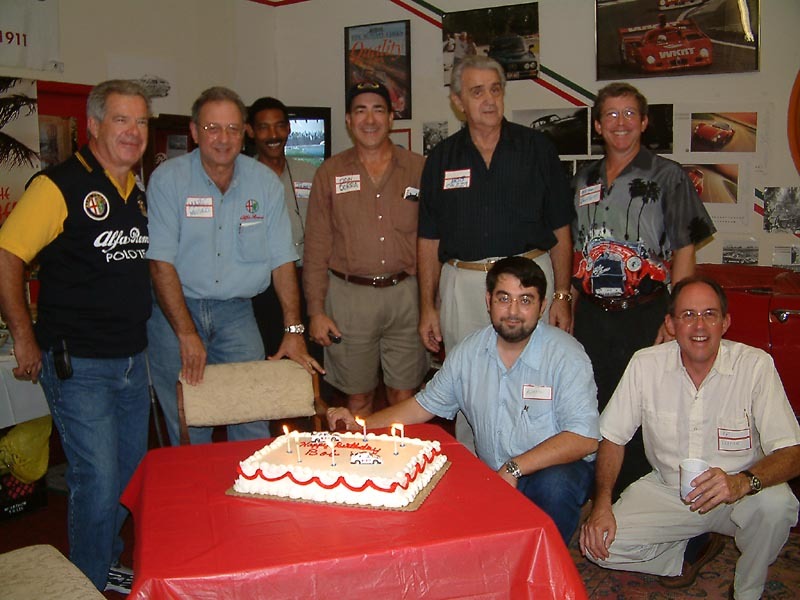 ABOVE: hard-core Alfisti Richard Stephens, Marc Mosko, James Lawrence, Don Dorra, Bob Cozza, Michael Bartlett. On their knees (must be a punishment for unduly behavior) Alberto Pugliese and Art Taxman. 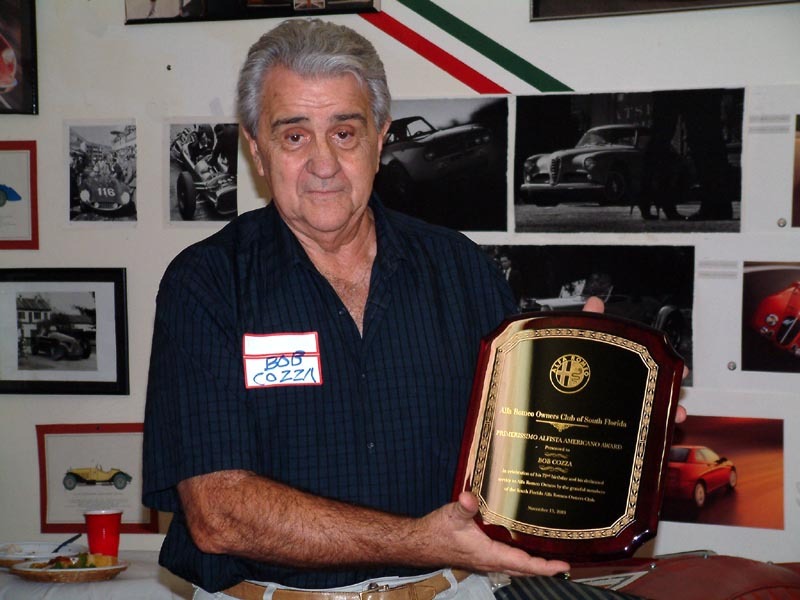 ABOVE: Bob displays the plaque. ABOVE: The gorgeous backdrop to the party. BELOW: One more little award fro Bob. 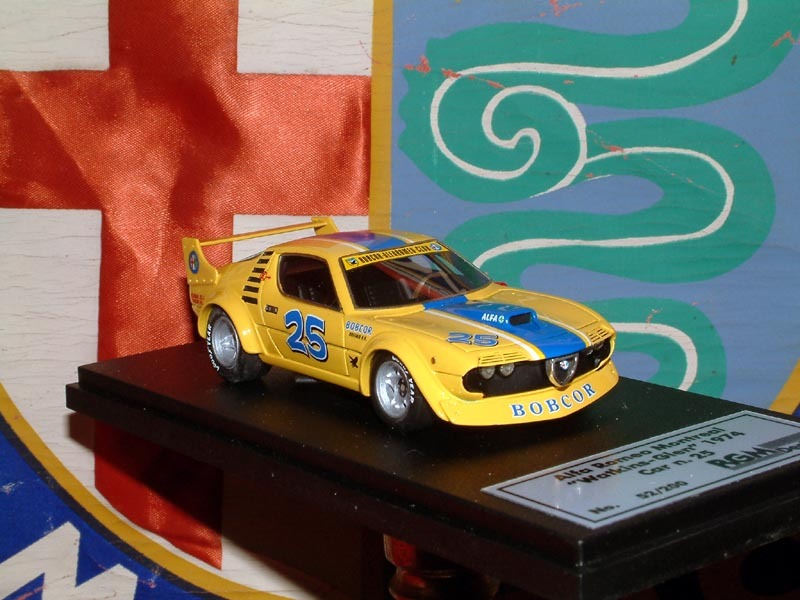 ABOVE: a gorgeous 1:43 model of the BOBCOR Montreal. This is a rare model. Will there be a resurrection of the original BOBCOR Montreal? Stay tuned!